Which professional skills should be included on a resume and how can you present your competency in the best way you can? See this article for a sample list of critical professional skills. What are the most important personal skills and qualities to focus on in a resume? Learn how to target your resume with key personal skills and qualities according to each specific field. Do you know how to make your personal qualities stand out on a resume? Learn about key personal skills and qualities to include on your resume. You can find out more in this article! When is it recommended to use a Skills Based Resume? Learn the techniques here for highlighting key work skills in your resume and see free samples of template and a skills summary. 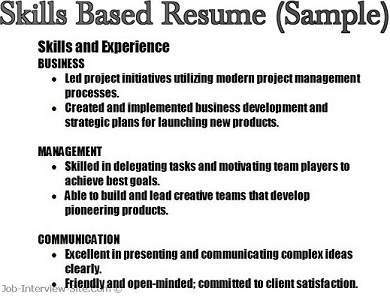 What are the most important skills to include in a resume? You’ll want to make an inventory of the abilities and strengths that you posses, so check out our comprehensive list in this article. 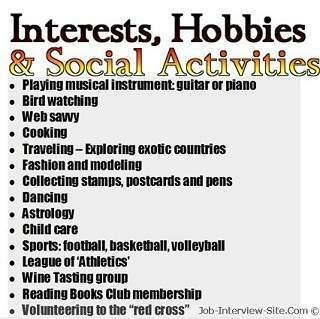 Should you include your hobbies and interests in your resume? How can you make them relevant to your job application? This article provides examples for how hobbies can help you get ahead. Why should you list your interests or hobbies on your resume? How can you translate your hobbies into job skills to serve as advantages for the lucky company that hires you? Find out here! Is there anything special you should keep in mind when you write your resume for your first job? We have a template for you in this article and top tips how to write a resume for that first job.